Ever felt like the jeans you wore just last night suddenly refused to fit today? Is it possible to have gained some extra pounds around the abdomen overnight? Answer is, yes, it's possible. But it's not gaining weight overnight that caused the jeans not to fit. It's just the air or gas in your body that accumulated in your abdomen. Bloating is nothing but an increase in the abdominal area or a swelling seen around the abdomen when gas accumulates in the gastrointestinal tract (GI). This could be a once-in-a-while occurrence or it could be something you experience very frequently. This frequent bloating is usually noticed due to an individual's lifestyle habits like the diet, stress of everyday events, pollutants in the air, etc. So How Does This Gas Get Trapped In The Abdomen? Most of the gas found in our body is just swallowed air. The other bit is produced when food gets broken down by the gut bacteria in our body. 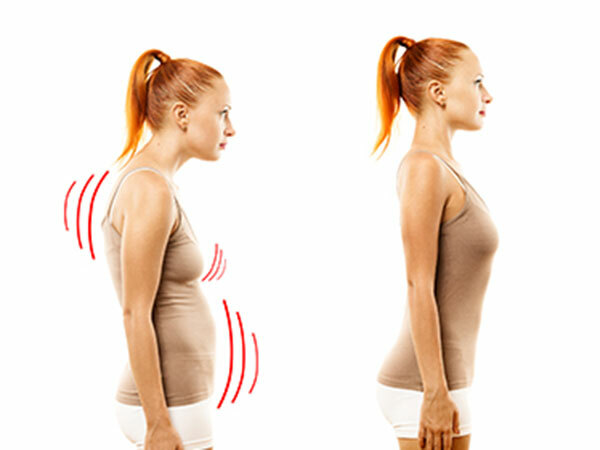 Usually, this gas is expelled in different ways like frequent burping or belching. The problem occurs when the GI does not move this gas out efficiently. Bloating gives you the feel of a tight or "stuffed" stomach. It causes you to feel discomfort, not just physical but also mental. Though bloating is not such a serious condition and can be treated easily, it could lead to complications. It causes severe damage to the intestine in some extreme cases. What Are The Most Common Causes For Bloating? Our tastebuds make us greedy during meals. We tend to overeat unnecessarily only because we like the taste of the food. This overeating could lead to partial digestion or indigestion of the food. When food is partially digested, the gas produced accumulates, causing a bloated stomach. Eating too fast could also lead to bloating. Foods rich in carbs, fibres, sugars, fructose, dairy, etc., when not digested properly, or when not suited by the body, produce a lot of gas that is not expelled properly by the body. This leads to bloating. Sodium present in salt causes water retention in our body. When excessive salt is consumed, bloating is common. When a particular type of food is not suited for our body, it does not get broken down properly, causing our body to react to this undigested food. One of the symptoms of such allergies and intolerances could be bloating. The most obvious cause for bloating is constipation. The irregular bowel movements don't allow the body to expel the gases of the body normally. Bowel obstruction, the obstruction of the intestines, causes an irregularity in bowel movements. This causes abdominal pain, bloating, vomiting, etc. This is a psychogenic bloating caused by neurosis of the abdominal wall and not because of excessive gas. We know that women deal with a lot of physical and emotional changes in their body during "that time of the month." The most common complaint we hear from them is of having a bloated stomach. This bloating is what causes those unbearable cramps. Gastric dumping syndrome, celiac disease, polycystic ovarian syndrome, excessive infestation with intestinal parasites, splenic-flexure syndrome, etc., could also be the causes of abdominal bloating. Some people have a habit of swallowing air. We all swallow air when we breath, but in some, the air doesn't follow the actual mechanism through which air enters the gut. This habit of air swallowing is also a very common cause for bloating of the abdomen. How To Treat This Seemingly Harmless Condition? The most common and fastest treatment is the over-the-counter medications like antacids. But this is just a quick solution. If you experience frequent bloating, then a dietary and lifestyle change is in order. Consuming foods with soluble fibres, water-rich vegetables and fruits, naturally soothing foods, herbal teas, probiotics and raw dairy products are an effective way to avoid the excessive gas production in the body. And of course, don't forget to exercise.